Brief reports and prayer requests from several Christian programmes in local schools. Do you feel your child needs support with their gross or fine motor skills? Are they struggling with hand writing? Perhaps they may have sensory processing issues that are impacting on their play and learning? Occupational therapy support might help. Carolyn Lotawa from Everyday OT is now providing Paediatric Occupational Therapy services in Warkworth. Babies - Tweens, local and overseas brands. Inquiries 0274 707 151 or find us on Facebook. Schools Special to see the stars! IRB is offering schools the opportunity to purchase tickets for the IRB Junior World Championships 2014, for a limited time they will double your tickets. So, whether you buy 2, 20 or more – you’ll only pay for half of them. Tickets are $5 for kids and $10 for parents. When: Monday - Friday, July 7-11 9.15am -12.30pm. Theme:The theme is “MEGA INVENTIONS”. Venue is Mahurangi Presbyterian Church, 5 Pulham Rd., Warkworth. Pre-enrolments are preferable. Forms are available at mCS Office. More information is available from the church (425 8861) or Ann Cates (425 0966). help/tutor/train and work specifically with kids? who offer a range of services for children and young people - fast. 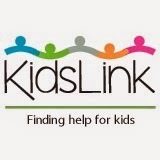 KidsLink is proudly supported and used by your school.